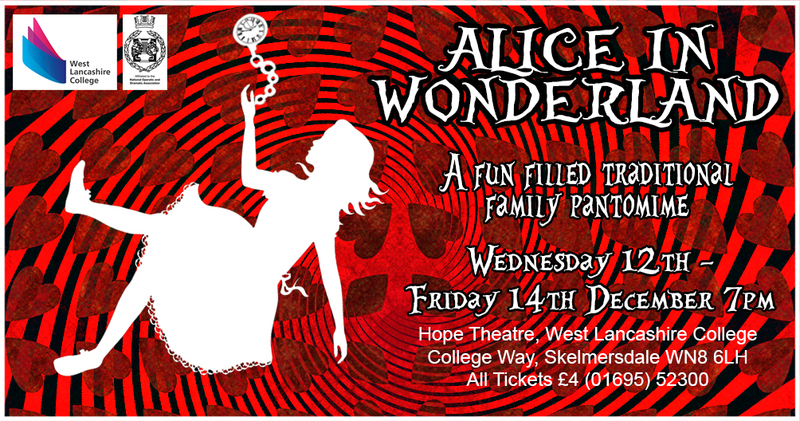 West Lancashire College Performing Art’s Department are proud to present Alice In Wonderland, a fun filled family pantomime at The Hope Theatre, College Way, Skelmersdale, WN8 6LH just in time for Christmas. Our award winning students will perform the classic production, Alice in Wonderland. Alice takes a tumble down a rabbit hole and when she wakes she finds herself in wonderland, a fantastic place full of bizarre adventures.